The Offshore Technology Conference Asia (OTC Asia) 2016 was launched at the Offshore Technology Conference (OTC) in Houston. Following the event’s inaugural success in 2014, OTC Asia 2016 will be held for the second time from 22-25 March 2016 at the Kuala Lumpur Convention Centre in Kuala Lumpur, Malaysia. The launch featured a grand prize drawing of a round-trip airline ticket to Kuala Lumpur to attend OTC Asia 2016, courtesy of Halliburton. 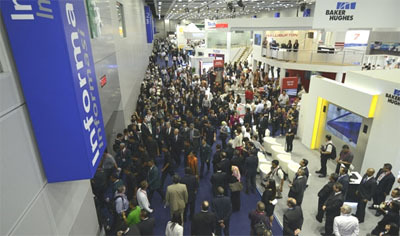 This was followed by a tour of the Malaysian Exhibition Pavilion which featured some of the leading Malaysian industry players – Malaysia External Trade Development Corporation (MATRADE), Malaysia Petroleum Resources Corporation (MPRC), Muhibbah Engineering and Eversendai Offshore – and 16 small- and medium-sized Malaysian enterprises. Themed “Excellence in Asia”, OTC Asia 2016 reflects the region’s position as a global provider of technology where cultural and geographical diversity foster collaboration and innovation. OTC Asia 2016 will showcase Asia’s achievements, its aspirations, and the important technological developments that the region needs to stay robust and resilient in the shifting global energy market. The growing Asian representation at OTC echoes this sentiment.